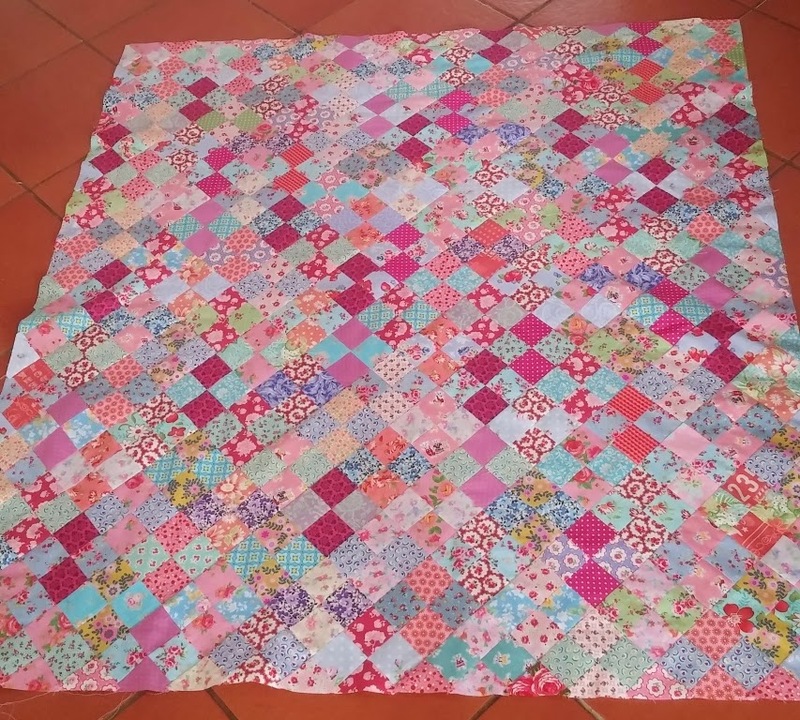 Cape Pincushion: Rose Tea-Party quilt top done! Rose Tea-Party quilt top done! I finished piecing my two-by-two Rose Tea-Party quilt top this morning. It took longer than I anticipated due to some mistakes and unfortunate unpicking, but I persevered :). The finished quilt top is approximately 53" x 47", so its a small quilt. Now I will make a quilt sandwich and get quilting. What a beauty, love your colors and fabric choices. It must have been a joy to piece, it's so sweet & pretty! Oh my goodness! It's SO beautiful!! Those pops of non-pink really keep it looking spicy, but still a wonderful pink. 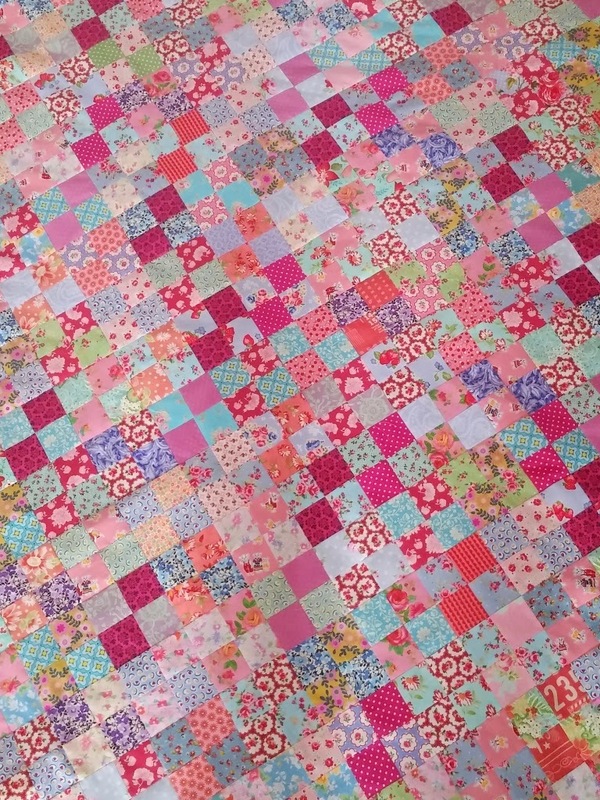 You'll have fun quilting this one! I love how you use color--in this quilt and your others. Always interesting and always very pretty!